A yacht tender and a yacht tender davit need to be paired correctly if the user is going to have the ‘user friendly’ system that they deserve. The sales staff at Waypoint Marine has ‘seen it all’ when it comes to space considerations, lifting capacities and convenience of use issues. We are the local representative for all of the following davit brands and are familiar with the advantages that each present in different applications. 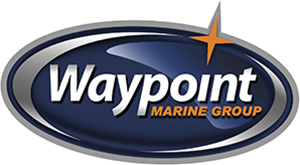 Let the staff at Waypoint Marine help you with choosing a boat and davit combination that best fits your yacht and best fits your personal use.